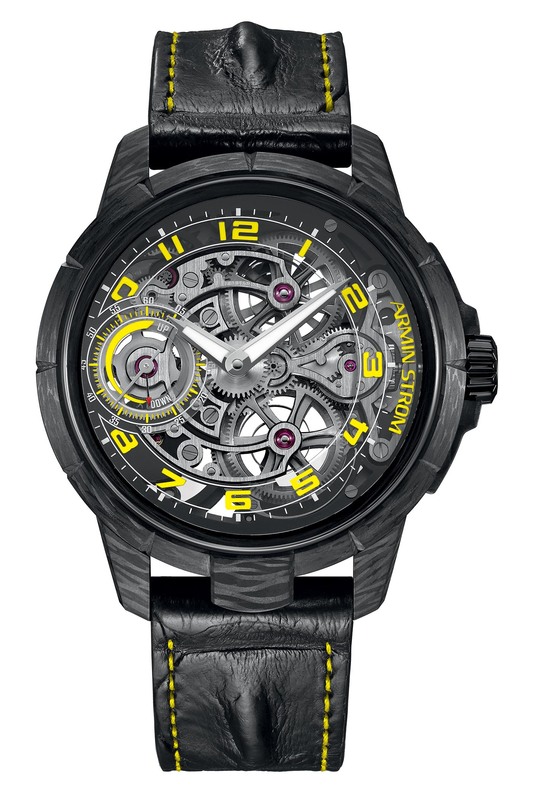 Armin Strom partners with Cases & Dials to launch 5 unique watches fashioned out of carbon fibre. 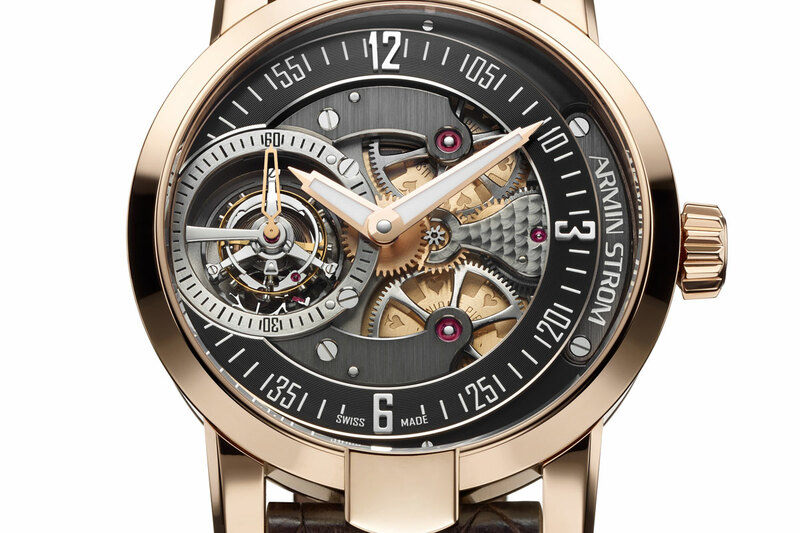 While Armin Strom‘s main focus of the last two years has been on Resonance (see here or here), the brand has much more to show than just this impressive piece of watchmaking engineering. 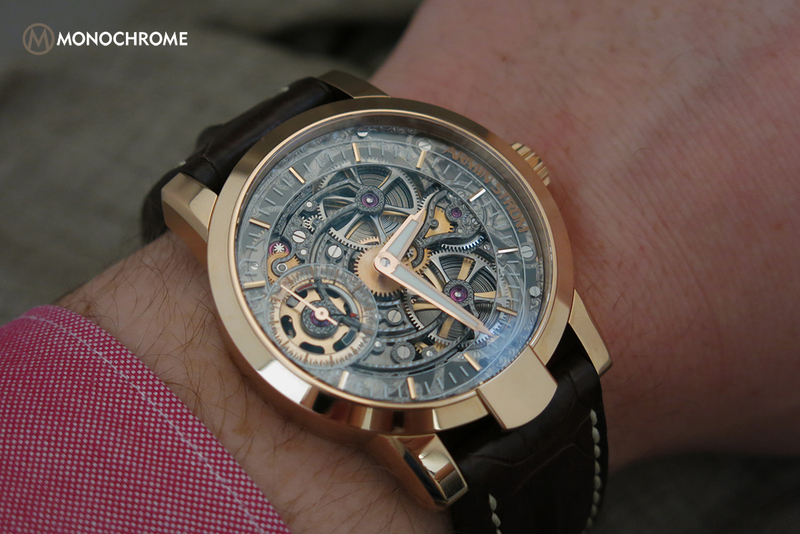 The brand is first and foremost known for being an integrated manufacture of bold, modern skeletonized timepieces. The latest addition to the collection is all about that! 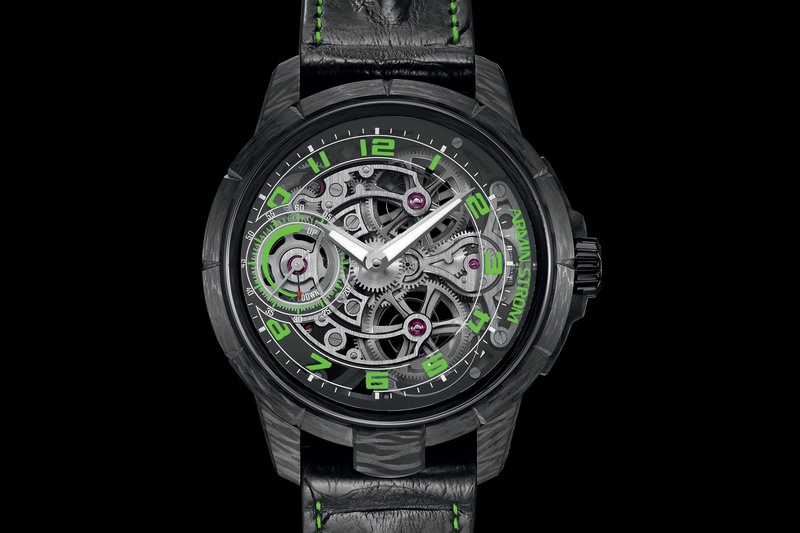 Meet the new Armin Strom Skeleton Pure Carbon, a collection of 5 unique pieces created with Cyprus-based retailer, Cases & Dials. Cases & Dials offers a highly-curated selection of timepieces from independent watchmakers. 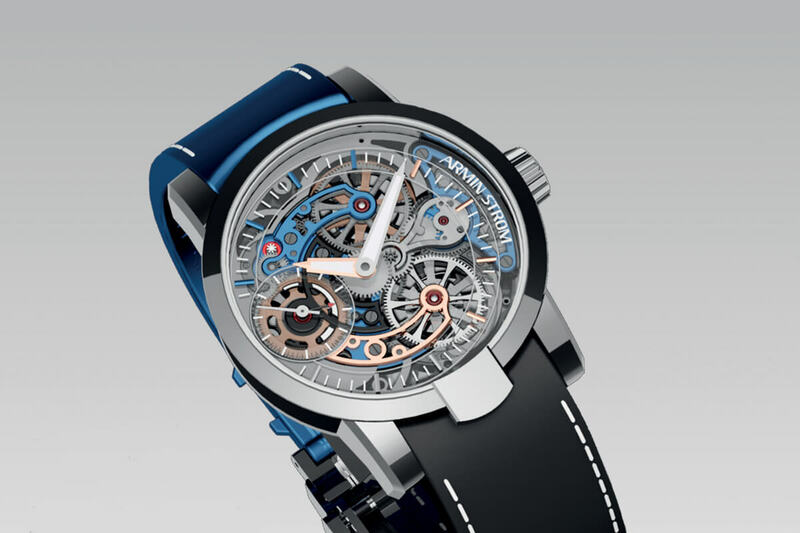 Its owner, Rois Nicolaides, is passionate about high-tech and sports, which is one of the reasons why he and Armin Strom selected carbon fibre to craft 5 unique pieces. 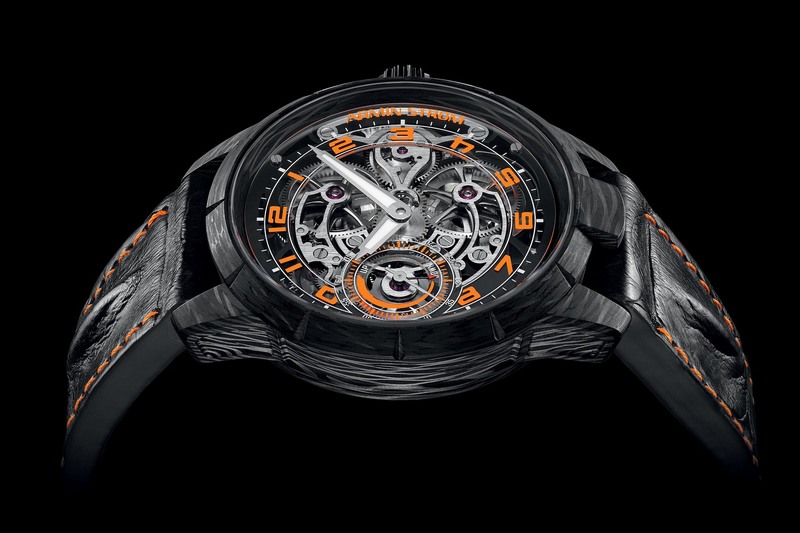 While this material has already been used in the past by Armin Strom to create dials and straps, it is the first collection of watches to use this modern, high-tech carbon fibre for the case. With textured shades of grey, the strong, light-weight and bold case perfectly suits Armin Strom’s modern and innovative take on traditional watchmaking. Moulded under high temperature and pressure before being machined, the material forges performance with a contemporary look. The case is the same as found in previous creations, such as the Edge Double Barrel, with a surprisingly comfortable 46.8mm diameter (it really wears smaller than you’d expect), a notched bezel, short lugs and the signature “lip” at 6 o’clock. 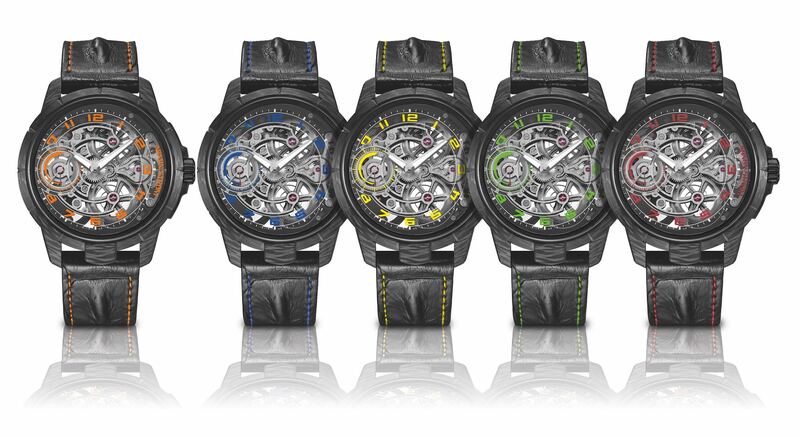 Following Armin Strom’s approach to watchmaking, these 5 unique Skeleton Pure Carbon pieces rely on skeletonization, volumes, contrasting materials and colours to make the dial lively and complex. The three-dimensional architecture is accentuated by the 3D PVD coating of the main plate and the openworked sapphire dial that serves as a base for the hour indexes. Arabic numerals and markers are picked out in a different colour for each of the unique pieces: red, blue, green, yellow or orange. The same theme is used on the Hornback alligator strap with stitchings to match the colour on the dial. 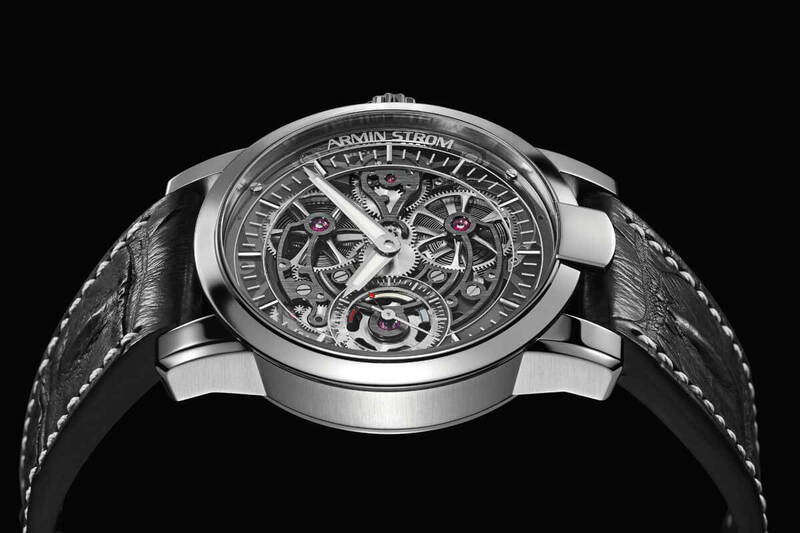 Inside the carbon fibre case of these new Armin Strom Skeleton Pure is the hand-wound calibre ARM09-S, which is, as always with the brand, almost entirely designed, developed and manufactured in-house (over 95% of the parts are done internally). 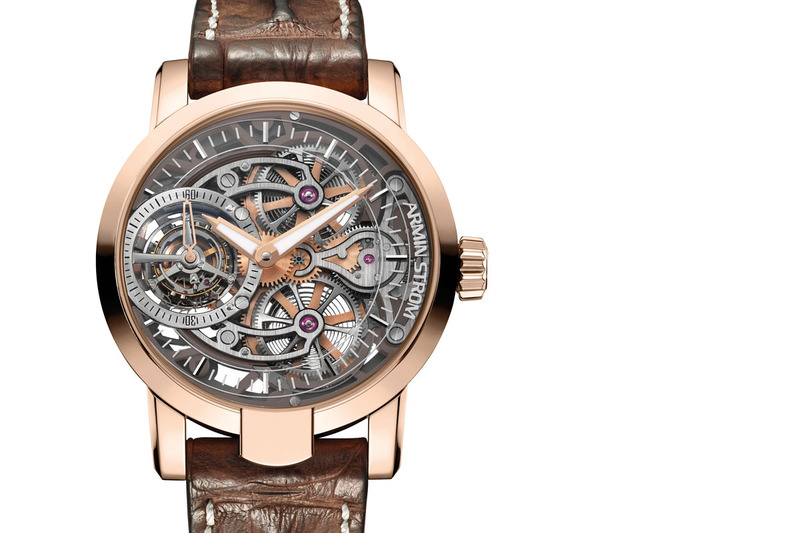 This twin-barrel architecture boasts an impressive 8-day power reserve. It displays hours, minutes as well as a coaxial indication of the small seconds and power reserve at 9 o’clock. These 5 unique Armin Strom Skeleton Pure Carbon will be available exclusively with Cases & Dials in Cyprus. Each will be priced at CHF 45,000. More details at cases-and-dials.com and arminstrom.com. Am I right in thinking this is very expensive?